Autumn - Welcome to Hossegor! An amazing gathering took place in les Landes region (the sunny south west of France) late September. The 2018 International gathering was held on the beautiful beaches of Hossegor bringing together 280 surfers from 27 countries gathered to worship and train together to continue our mission of seeing #everysurfer and all the surfing communities having the opportunity to know and follow Jesus! We had the opportunity to listen to every country’s achievements in the last few years but also to pray for certainty in visions and accomplishment in goals. It was a week of encouragement and renewal for all of these Christian surfers who are eager to realize the plans that God has put in their hearts to reach the lost throughout their society. A mixture of beautiful languages and funny cultures (especially the French cuisine) were shared amongst us all but a large amount of faithfulness and wisdom was also exchanged in preparation for the future adventures that await us. In August, we received 2000 copies of La Bible des Surfeurs! In 2004, the first edition of the French Surfers Bible came out, thanks to the initiative and funding of Christian Surfers Tahiti. 6,000 New Testaments were printed. 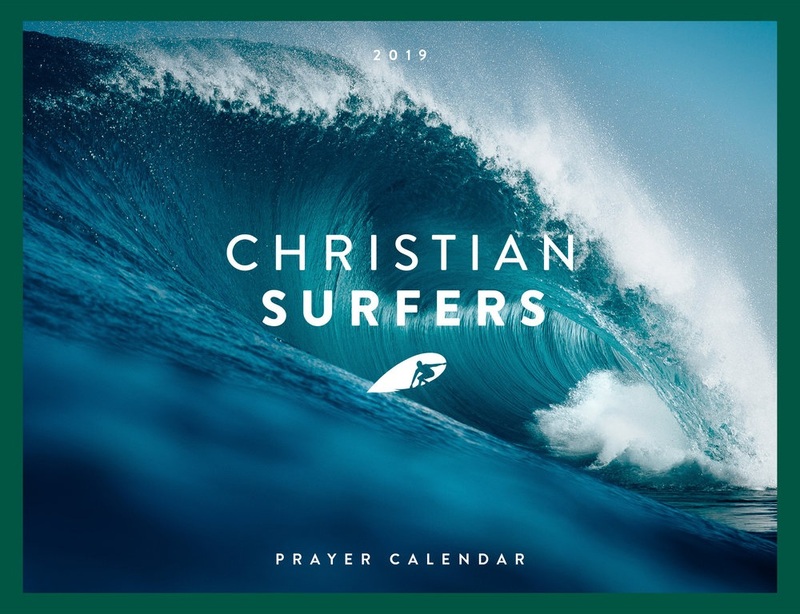 In the years since, they have made their way across France and have proved to be most useful in the start-up of Christian Surfers France and in churches along the coast of France. Several of our friends in the southwest testify that the Surfers Bible played a key role in their coming to faith. This year, fourteen years after their initial printing, we realized we were distributing the very last boxes of La Bible des Surfeurs and simultaneously recognized that it was also time for a graphic redesign and new testimonies of professional and francophone surfers. We received 2,000 copies of the 2018 edition of La Bible des Surfeurs a few weeks before the conference and an additional 1,000 have been shipped to Tahiti. In France, the Bibles have already been put in the hands of surfers on the beaches of Brittany and the Mediterranean through our expanding network of CS France contacts and partners. We praise God for the way that La Bible des Surfeurs is helping to fulfill the vision of #everysurfer. In 2016, we set out on our first Christian Surfers France networking road trip, and every year since we’ve visited new spots and made new connections. After meeting surfers and churches on the Mediterranean and Normandy coasts, and even some Parisians (no, there’s no standing wave on the Seine unfortunately), 2018 was the year to head towards Brittany. Thus, during the spring school holidays, the Harrisons hit the road from Hossegor heading north. Our first stop was Nantes where we met Léo, a twenty-something skater/surfer who was the first person to contact us through the re-launched website of CS France. Audrey had communicated back and forth with Léo by e-mail for about a year, so we were thrilled that he was free to meet us as we passed through Nantes as the gateway to la Bretagne. What a testimony we heard! Plunged deep into the sordid and addictive night scene, Léo experienced a radical awakening while at a night club in Berlin. God broke through the darkness and brought him into the light of Christ. He is now breaking free of the strongholds of sin in his life as he is regularly discipled by a group of priests. Next on our itinerary was a visit with a couple that had stopped in at Surf Church while they were on holiday in Hossegor last year and while we were away ourselves. We had therefore never met in person but had been talking and praying with them regularly via Skype ever since. Esther and Jonathan have purchased a plot of land near one of the most well-known spots on the south coast of Brittany and are building a home for which they have a vision of welcoming surfers and potentially launching a house church. Then on Britanny’s north coast, we visited a church in Saint-Malo that we had been hearing about for a long time as having a number of surfers including the assistant pastor. We were warmly welcomed by Loïc and his wife who fed us and regaled us with stories and testimonies of the early days of surfing in la Bretagne. We were able to spend time with several other surfers from Loïc’s church who were unanimous in their enthusiasm for the vision and ministry of Christian Surfers France. With each new and renewed contact on our trip, we equipped them with outreach tools including CS France-branded surf wax and copies of la Bible des Surfeurs from the last boxes remaining from the 2004 printing. By the way, be on the lookout at the International Conference for the release of a brand new edition of this French New Testament with surfers’ testimonies! We praise God for the mutual encouragement in all of these growing friendships and connections, and we look forward to our next networking road trip. In the meantime, we hope to see many of you in Hossegor in September. May every French surfer have the opportunity to know and follow Jesus! After travelling for eighteen months around the country, after dozens of meals, of surf sessions, of Skype calls, and so on, we finally all met up for a weekend in les Landes. Anne-Cécile Lacoste and Bianca Buitendag, both professional surfers, shared about their life on the pro tour; Mathieu and Sarah told us what the "Surf Together" weekends are all about; Melissa explained the idea behind "Business As Mission" ("where you live is where you work and where you minister"); Christophe gave us an overview of the past ten years of Christian Surfers in France; Stéphanie, Loïc and Isa sang some beautiful worship songs; Moïse baked great banana bread; and Levi and Sophie were the indisputable king and queen of the weekend-long Indo Board competition. The weather was so horrible that only a few were able to go surfing Friday evening. No surf for the rest of the weekend! Ironic, don't you think, for a gathering of surfers? The week of France's national holiday (July 14th) was full on. We attended a huge gathering of young people in Le Havre, called Bouge Ta France, where we made some great connections. Many people were attracted by our Indo Board workshop where they could try out this balance challenge. We were able to meet several Christians who are surfers, and hear about how they share their faith in the water. We were encouraged to continue our network building efforts. See you soon, new friends! This spring is a season of baptisms. What better way to celebrate the life, death, and resurrection of our Savior than to be baptized on Easter Sunday! It's a great privilege to be able to walk through life together and a great joy to see our friends baptized in their local churches. This winter saw the birth of two little princesses: Winnie and Agnès. Our two youngest members of Christian Surfers France were born December 31st and January 31st, respectively. Their parents haven’t taken them surfing yet, but it shouldn’t be long now, with the summer approaching. On this happy occasion, we remember to pray for the many other mothers of newborns. May God strengthen, protect and bless them. And may they have people in their lives to encourage, support and love them. We recently set off on our first CS Road Trip to the Mediterranean coast for 5 days. We weren’t sure what to expect or who we would specifically meet but felt very much that we should go in faith and see who God would lead us to. We were delighted to meet people who were keen to take some fliers for the national and international conferences. We also met a couple in Nice who have surfing links and know of a few surfers in the area and are keen to keep in touch and communicate with us which is exciting. Another encouraging meeting was in Hyeres, where we met a couple who expressed a real interest to get alongside our team and be involved in CS France.